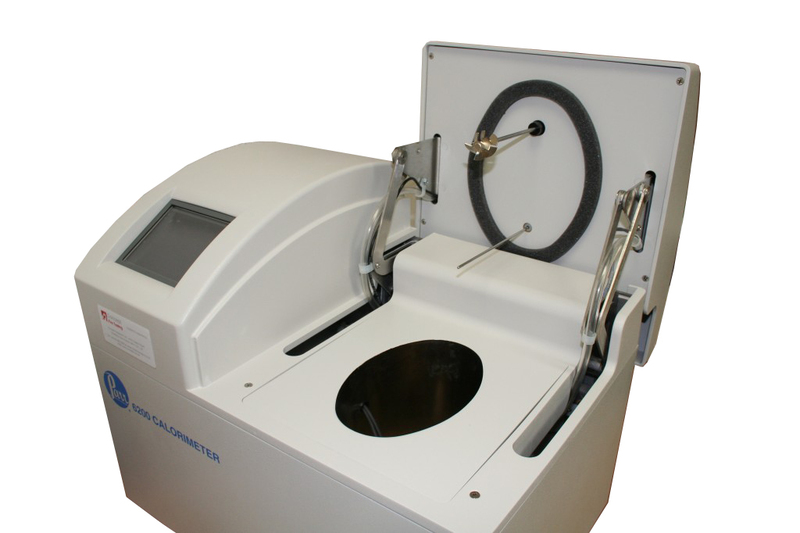 The 6200 Isoperibol Calorimeter is Concept’s most precise model offered. The traditional removable bomb and bucket design along with the water jacket of this calorimeter, afford the user with complete control over the combustion process. This makes the 6200 the ultimate choice for precise research and development and quality control work required when testing to EN ISO 1716:2010. Outstanding thermal jacketing is provided by a circulating water system driven by a built-in, high capacity pump which maintains a continuous forced flow around the sides and bottom of the bucket chamber and through the cover as well. A sealed immersion heater and a uilt-in heat exchanger, both operated by the calorimeter controller, provide precise jacket temperature control. 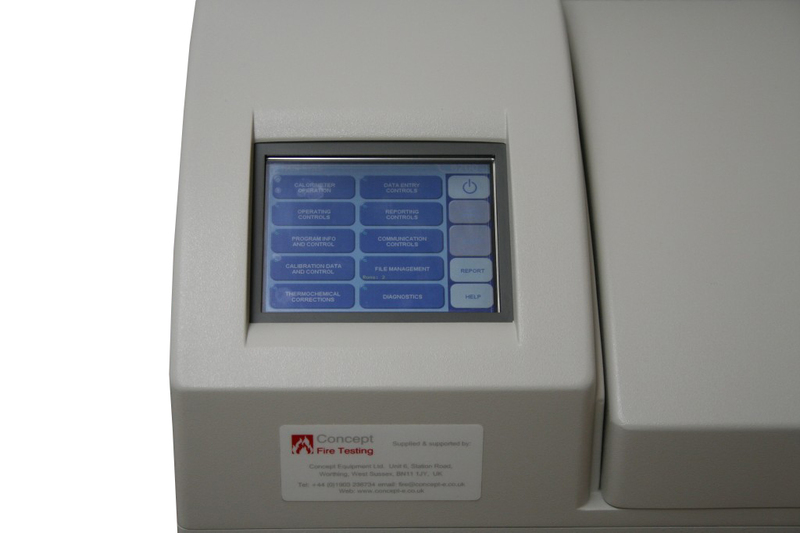 To speed and simplify the bomb filling operation, the 6200 Calorimeter has a semiautomatic system for charging the bomb with oxygen. Oxygen is connected to a microprocessor controlled solenoid installed in the calorimeter. To fill the bomb, the operator simply slips the filling hose connector onto the bomb inlet valve and pushes the touch screen to start the filling sequence. The calorimeter requires a source of 99.5% oxygen and deionized water for operation. If a closed loop system is chosen, the water handling system must be installed to the left of the calorimeter. Bomb Model Options: 1108, Alloy 20, 1108CL, Alloy G30, 1108P, Alloy 20, Semi-permanent Wire, 1108PCL, Alloy G30, Semipermanent Wire 1109A, 22mL Semi-micro Bomb, 1104(B), High Strength Bomb.